Is Quick Weight Loss Possible Today? Home/Weight Loss Articles/Is Quick Weight Loss Possible? Quick weight loss is the buzz word of the commercial ‘Diet’ or weight loss industry. You can absolutely achieve quick weight loss (15 to 20 pounds this month), do it safely and keep it off on our medically supervised weight loss program and eat everyday food and not be hungry at all. Other programs promise quick weight loss and do so with gimmicks or medically unproven fads such as cookies, manufactured foods and non-pharmaceutical supplements; but when you buy into these quick weight loss fads, you don’t really know what you are putting in your body. The creators of quick weight loss gimmicks don’t teach you how to implement simple steps which lead to a safe and sustained weight loss like we do at CardioMender, MD Weight Loss Specialists. For example, many of our patients go on a cruise leaving from Ft Lauderdale or Miami and lose weight or don’t gain as opposed to the most Americans who gain 7 to 10 pounds on a 1 week cruise. Someone who is losing weight eating weight loss cookies is almost certain to lose focus and control in the same environment. We have a particular advantage living in South Florida because our climate allows us be more active outdoors. You don’t have to travel to find something of interest in your neighborhood. • Pembroke Pines has CBC Smith Park which has lots facilities including a lake for family swimming – even a waterslide. • Cooper City has Brian Piccolo Park which has soccer and baseball fields, as well as many other outdoor sports activities. • Davie has Tree Tops Park where you can enjoy healthy cook outs, walk the nature and butterfly trails, ride a paddle boat or take advantage of their equestrian activities. • Weston has many beautiful parks with a multitude of exercise and biking trails. • Miramar has Miramar Regional Park, a 173-acre park a host of amenities encouraging outdoor activities and family fun. The first step is getting up and moving! Check out our Weight Loss Articles section, where each week we add a new “Weight Loss Tips and Resources” page highlighting exercise and healthy diet opportunities in towns and communities throughout South Florida, like Miramar and Weston. Then resolve to make a commitment to changing your diet and lifestyle. At CardioMender, MD Weight Loss Specialists we employ a medically supervised proven strategy to achieve quick weight loss that is safe (typically 15-20 pounds the 1st month*) but then implement an individualized transformation process which includes both nutrition and individualized support that foster an environment of sustained lasting weight loss. *RESULTS ARE TYPICAL but cannot be guaranteed. 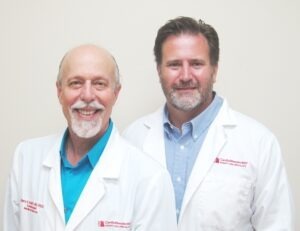 Dr. Barry Schiff is the Medical Director of CardioMender, MD Weight Loss Specialists serving Miramar, Davie, Weston, Hollywood and the entire South Broward area. STOP DIETING AND LOSE WEIGHT TODAY! Call us today to find out how we can help you to never be on a diet again!